For the theme of the key ring Elephant by Vitra the designer Hella Jongerius found inspiration in a milestones of the older history of Vitra: the elephant. For Charles and Ray Eames the elephant was, already in the 1940s the original for a decorative toy object that Vitra launched again a few years ago. As part of Home Complement Collection by Vitra, the keychains made of leather are available in different colours. The elegant and practical key ring elegant by Vitra. The Elephant shaped key-ring will be the best accessory in your bag. Don’t miss the elegant key ring. The elegant and practical key ring elegant by Vitra. The Elephant shaped key-ring will be the best accessory in your bag. Don’t miss the elegant key chain. 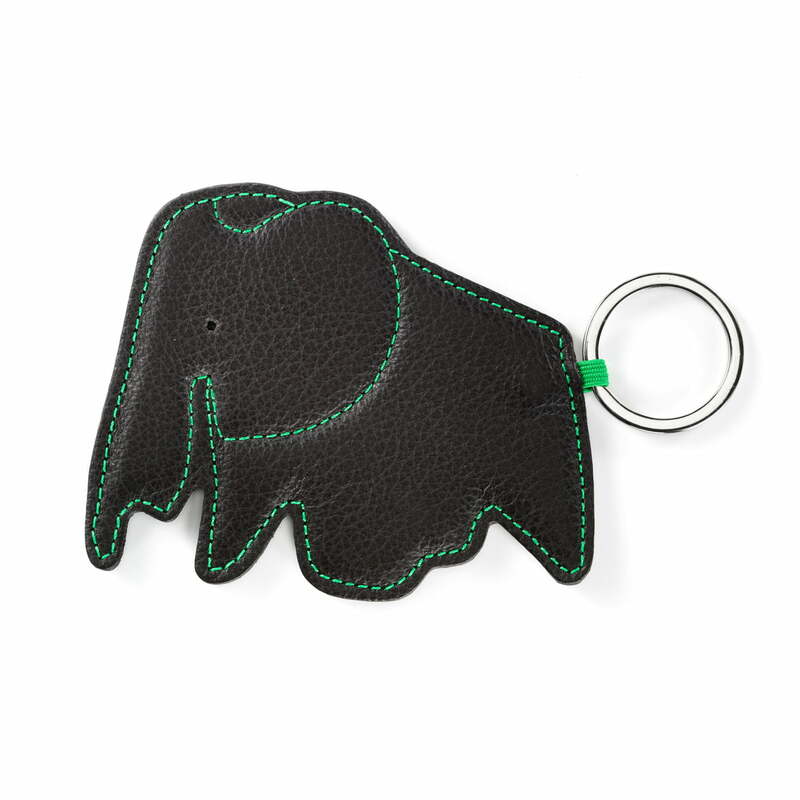 Individual product image of the Key Ring Elephant by Vitra, made of furniture leather in chocolate. The iconic elephant was designed in the 1940s by Charles and Ray Eames. Individual product image of the Key Ring Elephant by Vitra made of furniture leather in sand colour. The iconic elephant was designed in the 1940s by Charles and Ray Eames.